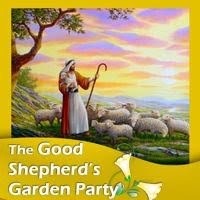 Head over to Charlotte's blog for a downloadable set of Good Shepherd Garden Symbols! My children are all very excited that, in addition to our sticker calendar, they can each have their "VERY OWN to COLOR!" They are already anxiously counting down the remaining days until Easter, so they can get started.